The problem of rabies remains a major and widespread public health concern within Ethiopia. There has been limited success of rabies control in the area. Mass vaccination of dogs, public education, humane dog population management, and prompt bite wound care could be sufficient to control dog rabies and to significantly reduce associated human rabies cases. Enhancing participatory community communications and public awareness. Improving bite wound care for optimal post-exposure rabies prophylaxis. Strengthening rabies diagnostic and surveillance capacities via infrastructure and manpower. Ohio State student Laura Binkley (second from left) and University of Gondar faculty Dr. Reta Tasfay and Mr. Dagnachew Muluye interview a health care extension nurse about rabies. To date, researchers have conducted community knowledge, attitudes, and practice (KAP) surveys in Gondar to understand the gaps in knowledge, attitude, and perception on rabies in the community. The surveys also aid in guiding educational interventions. 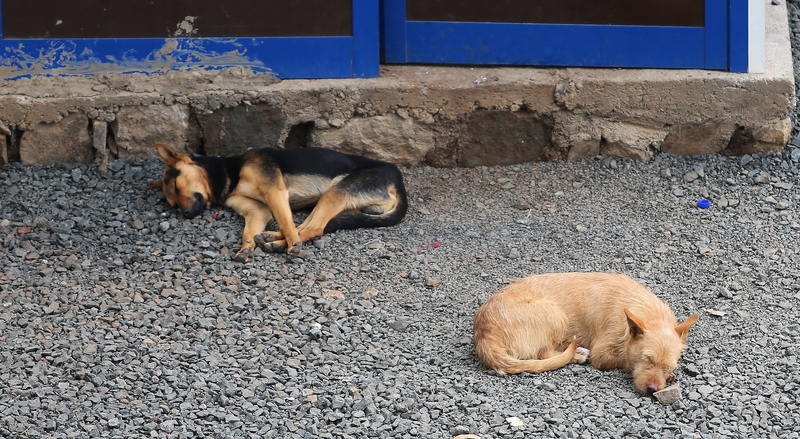 The plan includes elimination of canine-associated rabies in animals and humans by providing a sustainable system for prevention and control within Gondar. The success of a program in Gondar can lead to the development of a national plan for sustainability in other regions of Ethiopia.